JackTennis25 is the premier creator of Federer tribute videos on the internet. His latest video features a masterpiece of effects and transitions, excellent music selections, and versatile display of clips. 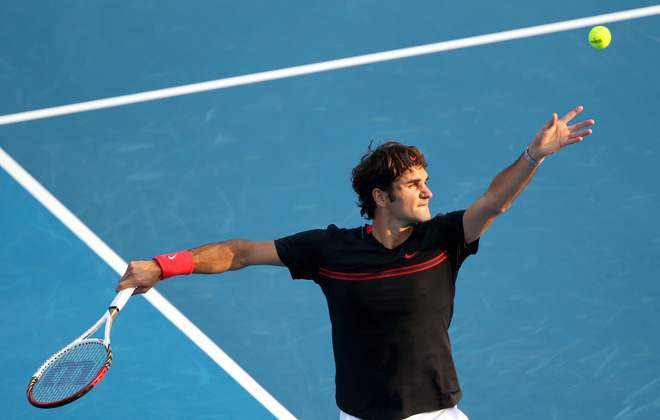 See the montage of Federer’s 2011 season and strong finish, including three consecutive titles. Federer did not win a grand slam for the first time since 2002, yet he continued to set more records. He collected his fifth title in Basel, his first masters title in Paris, and won a record sixth tour finals title in London (undefeated for fifth time). Adding more to the list, the Swiss maestro pushed to 807 career wins (passing idol Edberg) and his 70th career title in 100 career finals. See more from JackTennis25 on his YouTube and Vimeo channels. See the full schedule for 2012 with RF Activity. FF07tv will broadcast live coverage in Abu Dhabi and onward in 2012.